← Sustainable shopping: is it possible to fly sustainably? When biological time and social time clash, it can lead to sleep deprivation. The social starting times for school and university – typically between 7.30am and 8.30am – are too early for teenagers the world over. The biological changes that teenagers go through mean they need to go to bed later, wake up later and get up to eight or nine hours of sleep. 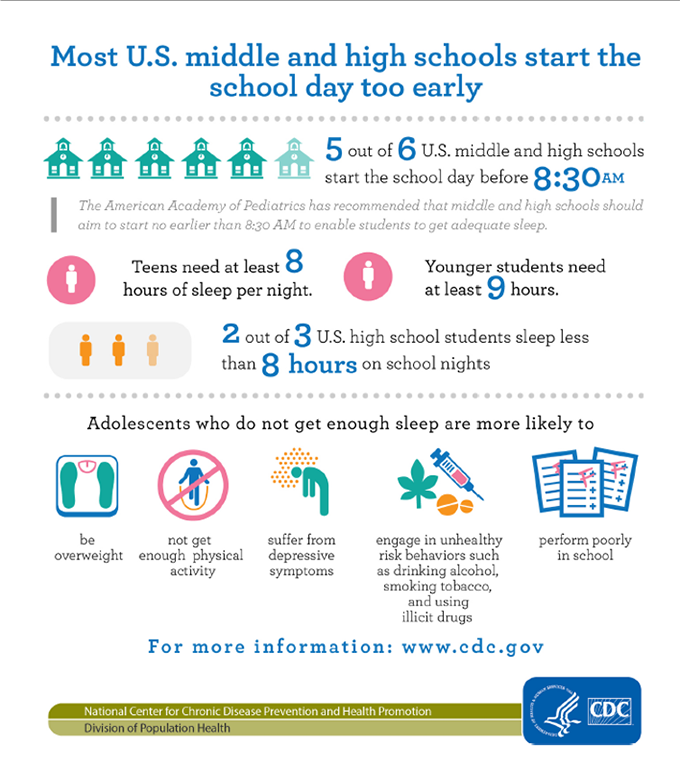 The US Centre for Disease Control and Prevention has drawn together many scientific studies to demonstrate that US schools should set later starting times. There is extensive medical evidence about the harms of starting school or university too early: doing so places teenage students at greater risk of obesity, depression, drug use and bad grades. The American Medical Association now recommends that no classes for teenagers should begin before 8.30am. Yet early starts are still common in many countries around the world, among them Australia, UK, France and Sweden. There is further evidence that later starts are even better: studies show there are clear health benefits for 13 to 16-year-olds who start school at 10am. Mariah Evans at the University of Nevada, Reno used new methods to identify the best times for teenagers aged 18 to 19. Her conclusion was dramatic: much later starting times of 11am or even 12pm are best for cognition.